Jamaican folk music is termed to be the earliest form of Jamaican music known to historians with its roots starting in the mid 17th century and maybe even before then. The music of Jamaica is said to be the most powerful art form and cultural heritage of this land and like all other things here it welcomes you our visitor and captivates you forever. From the rich flavored beats to the rhythmic tunes that plays on the air today, all present diverse music forms of Jamaica, which are connected to how Jamaican folk music evolved over time. With the cultural and social changes shaping the future of Jamaica back in the times of the Spaniard invasion and after the taking over by the English, many new practices, cultural norms and traditions came into existence. 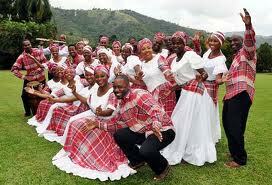 Folk music of Jamaica has become known to be a product of such acculturation of this region. The English, after taking control, brought thousand of African people here to expand the Spaniard established slave trade. The Africans brought new traditions with them which were handed down from generation to generation. The interaction of different cultures with the English gave birth to a new language, which went on to form the Jamaican Creole or Patois. This language was used by them to sing the Jamaica folk songs. Whether they be tunes they sang while working to get a rhythm or send messages, songs about religion or songs they sang at gatherings while dancing. The British put an official ban on such traditions of signing and dancing in 1696, fearing that they fuel the spirit of freedom. These African slaves were smart and found a way to still passed their music and traditions down, generation after generation. Before Jamaica's independence, Jamaican folk music was not accepted by the masses. This was due to the lyrics about enslavement and labor which made some uncomfortable. This type of music and the telling of such interesting stories, became more popular after Jamaican's independence and is now performed at events all over the island. Folk music has come a long way, with respect and love by all. 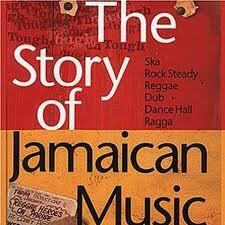 It is the telling of Jamaica's history in music and songs. 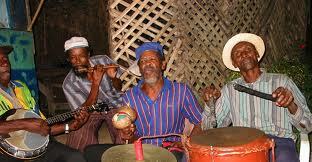 Some of the best Jamaican Folk Music include Day-O, Jamaica Farewell, Mento and Linstead Market. The mix of culture create different forms of Jamaican Folk Music and the distinguishing tunes are still present today in our songs and music. When you listen to Kumina you hear its African influence, while old nursery and playtime songs have a more European touch to them. Musical forms of today are all influenced and have all inherited different legacy left behind by folk music. In the 1950's we had disc jockeys, MCs and audio engineers who would set up street parties all over Jamaica. All these genres have played a vital role in shaping different music forms and defining where the Jamaican music stands today. This music form, heavily influenced by folk music, came into existence in the 1900s. It became immensely popular in the 1950s comprising mainly of acoustic instruments like the acoustic guitar, rhumba box, banjo and hand drums. Mento started being recorded noting the similarities between the folk music of Jamaica and the Calypso music which had gained a lot of fame all over the world. American R&B and other music forms started to become popular in Jamaica after World War II. In the 1950s the American music industry turned to rock 'n' roll, leaving the desire for Jazz and R&B for Jamaican audience. 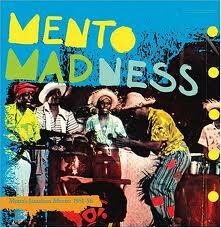 This hunger led to the fusion of folk music and Mento with American R&B and Jazz to Ska music form. 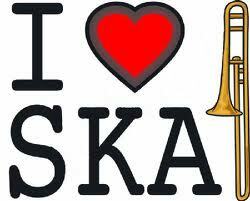 Ska focuses on the emphasis of the guitar in such a way that it stresses the off-beats. 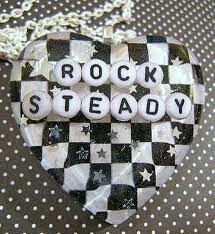 Rocksteady evolved from Ska when it started to be played at dance parties. It had a slower dance beat. Rocksteady has the rhythm guitar playing upbeat with heavy emphasis on the bass line and a comparatively slower rhythm than Ska. Rocksteady laid the base for newer music, and is still popular at some places, though it did not last that long. 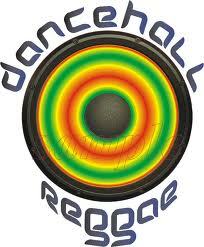 It helped shape the now world renowned and loved Reggae music. 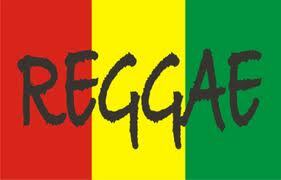 Reggae is a mix of Mento, shuffle and soul music which came into existence in the early 1970s. Now Reggae is famous the world over due to the efforts of these international superstars and idols for many generations like Bob Marley, Jimmy Cliff, Bunny Wailer, Peter Tosh and Beres Hammond to name just a few. Since 1985, 'The Best Reggae Album' category has been added to the Grammy Music Awards. Dancehall evolved from Reggae. The beat gets you dancing, it is so upbeat and is played in clubs since the 1980s by DJs. Ragga came into being around the same time with computerized beats and sequenced recorded melodies as main characteristics. Dub became popular in 1970s, mainly based on previous recording with prominence on bass. Sly and Robby are great examples of Dub. Became famous in the late 1990s. Reggae Fusion is a mixture of Reggae and Dancehall/Ragga with other genres such as R&B, rock 'n' roll and others and is quite popular today. Of all the forms it was Reggae that brought Jamaica's music to the international audiences and it still is the most popular form of Jamaican music worldwide. It mesmerizes its listeners with heavenly tunes and is considered as true art form depicting the cultural heritage of Jamaica.